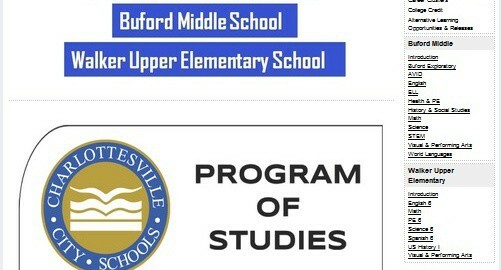 The Program of Studies presents the various offerings at Walker, Buford, and Charlottesville High School. We offer a wide range of courses that culminate with more than 30 college-level classes on the AP or dual-enrollment level. The course selection process takes place in January and February, with events such as a high school curriculum fair and meetings with counselors. Every attempt is made to offer appropriate courses of study for students. Some courses, however, may not be offered due to insufficient enrollment and/or the lack of teacher availability.